Your home is a reflection of your life, your loves and your passions – at Ambiance, you’ll find a selection of beautiful, artistic and vibrant furnishings, home decor accents and gifts. Inspired by a fascination with color and artistic and blessed with an innate sense of style, Ambiance’s owner, Liberty Smith invites you to explore distinctive collections and discover unique pieces that reflect your own sense of style and personality. 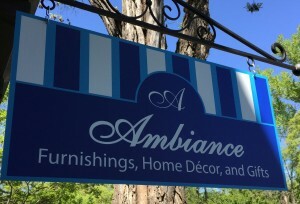 Fill your home and garden with distinctive gifts from Ambiance!